In Path of Exile, Exalted Orbs are extremely rare currency items, which play a leading role in Path of Exile economy. They are extremely rare, and valuable, making them the most sought-after currency item in the game. 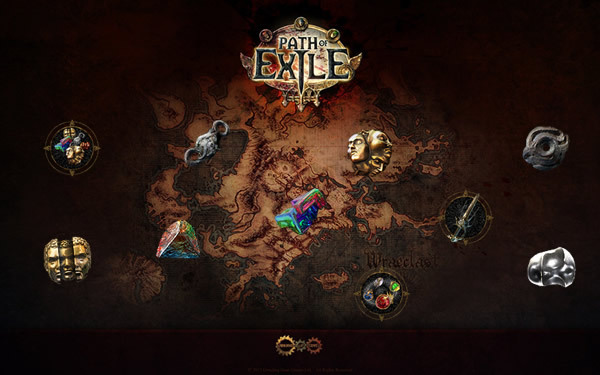 In this article, we will try to answer the most frequently questions about poe exalted orb. 1. What is the lowest level at which Exalted Orb can drop? Exalted Orbs can drop at ANY level. You might theoretically loot them in Twilight Strand on Normal difficulty at level 1. 2. What are Exalted Orbs for? Exalted Orbs add an additional property on a rare item. They are used to make the best equipment in the game, worth from several to hundreds of Exalted Orbs depending on luck (or well, you can craft gear that is worthless if you don't do it right). In order to do that you need a piece that is already worth a few Exalted Orbs and still has an open place for good affixes - so if you are lucky to get it, you multiply the item's value. Below you will find several examples of items worth Exalting. Exalted Orbs are also used in meta-crafting. It's mainly done in Standard mode since Eternal Orbs are only available there. Eternal Orbs save a copy of an item, so for example, if you have a rare item with 4x Tier 1 affixes, you save an imprint of it using the Eternal Orb, and then use Exalted Orbs with the ultimate goal to get 5th (and possibly 6th) Tier 1 affix. 3. What should I do with Exalted Orbs? Exalted Orbs are extremely valuable. 99% of players are advised to trade them for Chaos Orbs and get decent gear. You can also buy gear for the Exalted Orb directly. However, considering you are using our guide, you are not advised to buy 1Ex+ worth pieces of gear just yet. Just 1 Exalted Orb should easily allow any player using any build to start mapping. 4. How to increase my chances of finding Exalted Orbs? Basically the more you play, and the more monsters you kill the higher your chances are. Unless you are able to afford gear worth hundreds of Exalted Orbs and breeze through high tier maps, it is advised to play a cheaper, fast build, and grind your way through low and mid-tier maps. Upgrading map quality and rarity is also a good idea. 5. Can Exalted Orb drop from Strongboxes? Yes, they can even drop from rocks and normal chests too. However, it's a very good idea to upgrade Arcanist's Strongboxes to rare quality with Orb of Alchemy to increase your chances of finding valuable currency in it. It is even possible to loot Mirror of Kalandra from those.